We bring different experience on contact page, with fullscreen google map, ajax email sender, custom email template, multiple location indicator, and also location direction will impress your visitor. 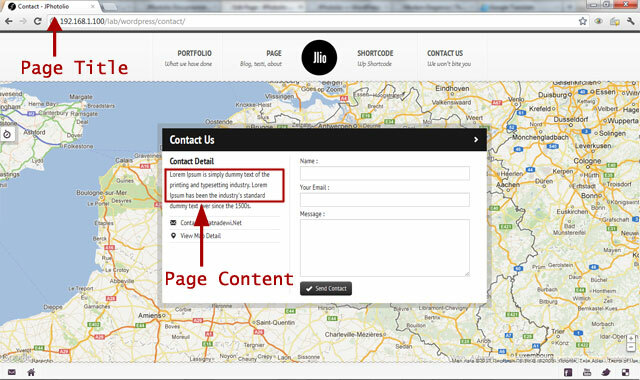 This section will guide you to setup Contact page, Email, Email Template, and Setup location data. On JPhotolio Page Setting, you will not find any option. All option on this page can be acessed from JPhotolio Themes Setting Page. Page title will also Contact Page title, Content will placed on left form. For more detail please see image. 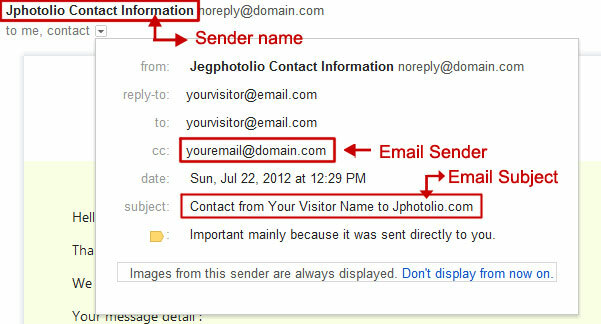 When your visitor send email from your contact page, you will get notification about their email, and your visitor also will get one copy of email that say their email has been received. You also able to personalized your email template. Replying their email will be very easy. Just hit reply, and you will directly reply their email. This way will give your visitor more confidence that your provide professional services. We provide built-in feature for SMTP. We realize alot people (including us) using Google Apps Service for sending, receiving email. Thats why for default Setting of SMTP we use google mail SMTP setup. If you decide to use built in SMTP feature, firstly you need to turn if on. Change value of content SMTP setting to fit your host. Don’t forget to enter your SMTP email & password (if you using google mail, enter email & password).SMTP email should not same as Email Sender on Email Detail Section to prevent any error that may occurs. 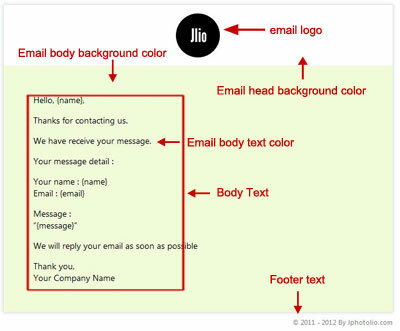 If you need more modification on Email template, you can directly edit email template onJPhotolio folder » lib » template » email-template.phtml. You may need HTML and PHP skill for editing this file. Component of email template described on image below. This theme support for multiple location indicator, and location direction (we using Google direction). 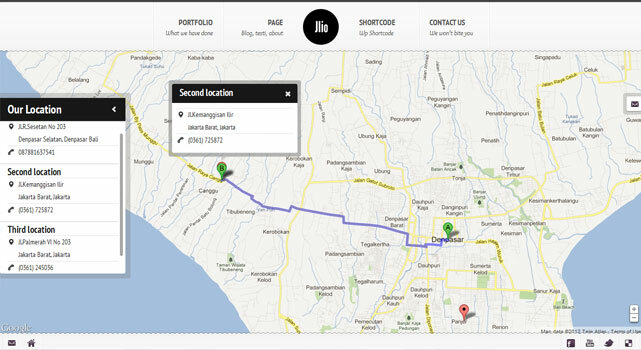 Location direction feature, very dependable with Google direction API, and HTML 5 Geolocation. Location from geolocation may be incorrect. and for most case, map unable to determine direction, because your website visitor location is too far away from pin location. Setup location data is easy, just go to JPhotolio Setting » Contact – Email Detail » Location data. Enter all data, and also coordinate that will show on map.